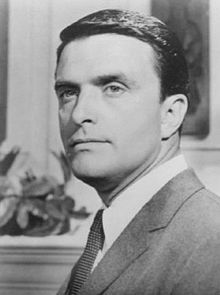 Edwin Stafford Nelson, known as Ed Nelson (December 21, 1928 – August 9, 2014), was an American actor. He was best known for his role as Dr. Michael Rossi in the ABC television series Peyton Place. Nelson died from congestive heart failure in Greensboro, North Carolina, aged 85. ↑ "Ed Nelson, a star of "Payton's Place", dies at 85". New York Times.com. Retrieved August 12, 2014.